Hand Drawn Vector Abstract Sketch Graphic Scandinavian Collage Happy Easter Cute Simple Bunny Illustrations Greeting Card And Handwritten Calligraphy Easter Hunting Season Isolated On White Background. 免版稅剪貼畫，向量插圖和股票. Image 116845798. 版權商用圖片 - Hand drawn vector abstract sketch graphic scandinavian collage Happy Easter cute simple bunny illustrations greeting card and handwritten calligraphy Easter hunting season isolated on white background. 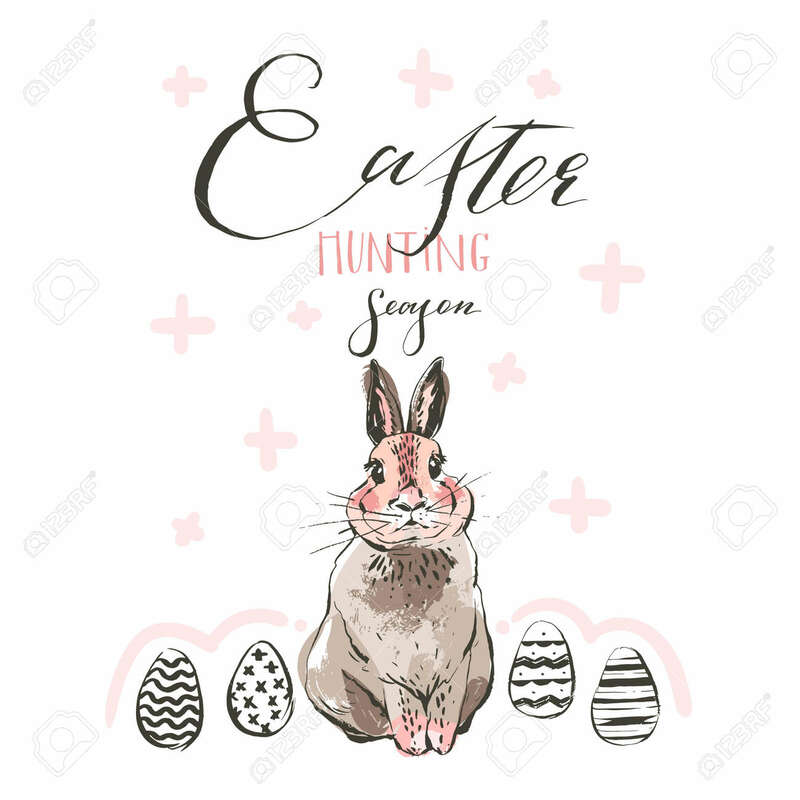 Hand drawn vector abstract sketch graphic scandinavian collage Happy Easter cute simple bunny illustrations greeting card and handwritten calligraphy Easter hunting season isolated on white background.